CLAUDE (Glaude), JOSEPH, principal chief of the Restigouche Micmacs; d. 1796 in their village at Restigouche (Pointe de la Mission, Que.). His successor, Jacques (Joseph) Gagnon, took office 18 May 1796. The Restigouche Indians, whose territory included the coast from the Baie de Cascapédia (Que.) to the Miramichi River (N.B.) and all the land drained by the rivers between, were the survivors of the Gaspesian branch of the Micmac people. 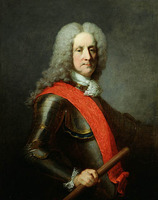 It is not clear whether it was Joseph Claude or his father who was appointed chief of Restigouche village by Governor Beauharnois* on 8 April 1730. By 1760 Joseph was certainly chief. At that time a British estimate placed the village’s population at 100, although a contemporary French census put its number at 350. The former number is probably more accurate, for a 1765 census shows 87 members of the band at Restigouche. At the time of the capitulation of Montreal in 1760 Claude’s village was a refuge for over 1,000 Acadians from various parts of Nova Scotia and the base for about 200 French troops under François-Gabriel d’Angeac. The French and Indians made peace with the British separately in October, and Claude received a few blankets and supplies for his tribe. The influx of Acadians posed a threat to the small band. Writing in January 1761 to Roderick MacKenzie, the British commander at Restigouche, Claude complained that the Acadians treated his people like dogs, prevented them from fishing, and were preparing to sail off with the king’s stores as soon as the ice broke. The Acadians were deported [see Joseph Dugas], but white fishermen and settlers again began moving into the Baie des Chaleurs region by the 1770s. Campbellton (N.B.) was founded in 1773, and in the next ten years some Acadians returned to the area. 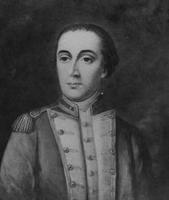 In 1778, when the French vice-admiral Comte d’Estaing, in the name of the king of France, invited Canadians to take up arms with the American rebels against the British, the missionary Joseph-Mathurin Bourg was able to intervene with Claude’s people and maintain peace. After the American revolution the influx of whites continued. Justus Sherwood*, looking for new sites for incoming loyalists in June 1783, noted that the land at the mouth of the Restigouche River was of good quality and would yield many hundred thousand tons of hay; it was, however, “claimed by the Restigouch Indians.” Although the Indians had granted settlers the right to cut hay for a fee of a dollar a year, it was inevitable that disputes should arise between them and the settlers as more Acadians and loyalists arrived from New Brunswick. In 1786 the Quebec government, anxious to placate the Indians in order that white settlement might continue uninterrupted, appointed a commission to investigate their claims and grievances. The commissioners – Nicholas Cox, lieutenant governor of Gaspé, John Collins, deputy surveyor general of Quebec, and Abbé Bourg – were at Restigouche village from 29 June to 1 July. On 30 June they interviewed Claude, who claimed for his band the hunting grounds on the north side of the Restigouche River and an exclusive right to the salmon fishery. As his authority he produced Beauharnois’s appointment of 1730. Claude’s people took particular exception to the land claims of Edward Isaac Mann, a Massachusetts loyalist, and to the indiscriminate use of seines by Robert Adams, another settler. Cox argued, however, that the lands occupied by the Restigouche Indians did not belong to them and were in fact French seigneuries which, through the exercise of the droit de retrait, now belonged to the British crown. Consequently, the king expected his Indians to make room for “others of his Children the English & Acadians, who are to be regarded by you as brothers.” The commissioners promised the Indians a gratuity in return for the relinquishment of their “pretensions” to the land and for a “trifling concession” between the Rivière Nouvelle (Que.) and Point Macquache (probably Pointe à la Croix) up to a boundary line that would be drawn to mark off Indian and white holdings. 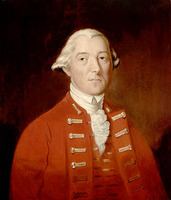 As for the salmon fishery, “your pretensions as Natives of the Country” would be favourably reported to the governor, Lord Dorchester [Guy Carleton*]. The band’s three chiefs, Claude, Gagnon, and François Est*, dit Coundo, signed the agreement. PANB, RG 2, RS8, Indians (William Spragge to commissioner of crown lands, 12 April 1865). Can., Prov. of, Legislative Assembly, Appendix to the journals, 1847, I app.T, app.96. “Papiers Amherst (1760–1763) concernant les Acadiens,” R.-S. Brun, édit., Soc. historique acadienne, Cahier (Moncton, N.-B. ), III (1968–71), 273, 284, 288. “Recensement des gouvernements de Montréal et de Trois-Rivières, 1765,” 116. Justus Sherwood, “Extracts from my journal of my voyage from Quebec to Gaspy, Bay Chaleurs, and Merimishi,” PAC Report, 1891, 21–23. P. K. Bock, The Micmac Indians of Restigouche: history and contemporary description (Ottawa, 1966), 14–21. Père Pacifique [de Valigny] [H.-J.-L. Buisson], “Ristigouche: métropole des Micmacs, théâtre du ‘dernier effort de la France au Canada,’” Soc. de géographie de Québec, Bull. (Québec), 19 (1925), 129–62; 20 (1926), 95–110, 171–85. L. F. S. Upton, “Indian affairs in colonial New Brunswick,” Acadiensis, III (1973–74), no.2, 3–26. L. F. S. Upton, “CLAUDE, JOSEPH,” in Dictionary of Canadian Biography, vol. 4, University of Toronto/Université Laval, 2003–, accessed April 22, 2019, http://www.biographi.ca/en/bio/claude_joseph_4E.html.